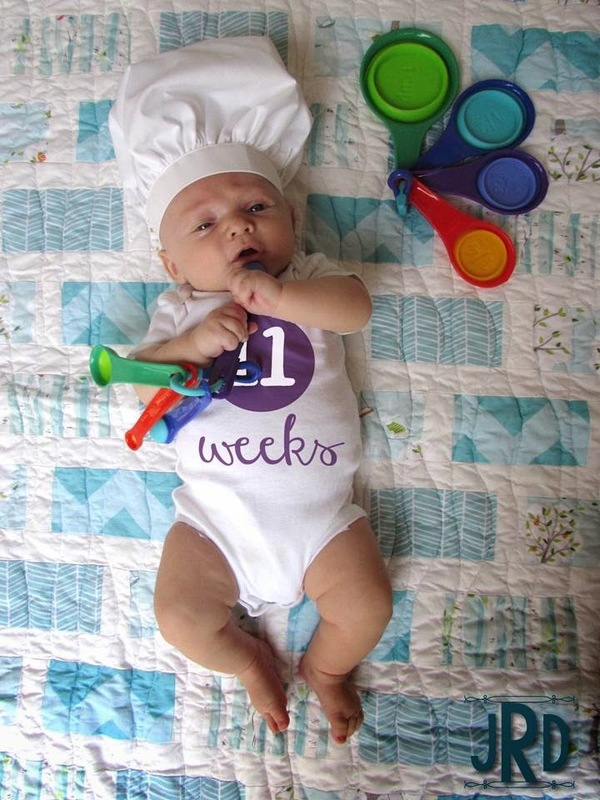 Labor Day was this week, so we thought it would be fun to dress you up like a little chef. Maybe it will be a future career for you :) Plus Mommy needed new measuring spoons and cups for the kitchen anyways, and these ones are bright and fun. Thanks Target! You are holding your head up and rolling front to back better than ever! You are sleeping much better at night, 7-8 hours consistently now. 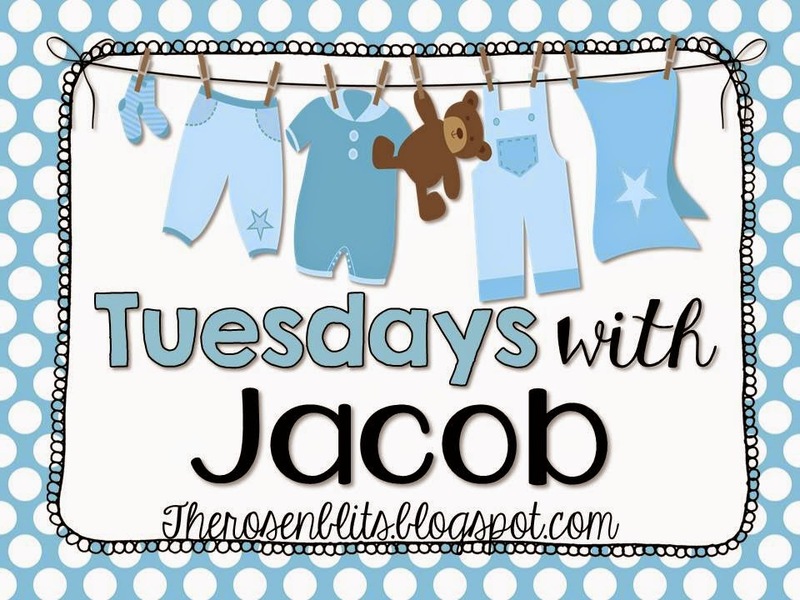 You are much happier and less fussy during the day when you've gotten enough sleep! Nap times are still a little bit of a challenge. Mommy would prefer you take longer, less frequent naps. You prefer to cat nap all day long. You got a little lovey blanket in the mail this week from our friend Jennifer Lopez. (not the singer) You LOVE it and anytime I put you in your car seat you grab onto it and won't let go. We went to the Gill's this week to work on a little project (more on that in a few days). You had fun watching Colin play, and we even put him to work rocking you in your stroller! You loved watching their fan because it's nice and big and easy for you to see! We met Daddy downtown for lunch on Saturday. We had a little picnic in the park with chicken fingers, pasta salad, fruit salad, iced tea, and cupcakes for dessert! 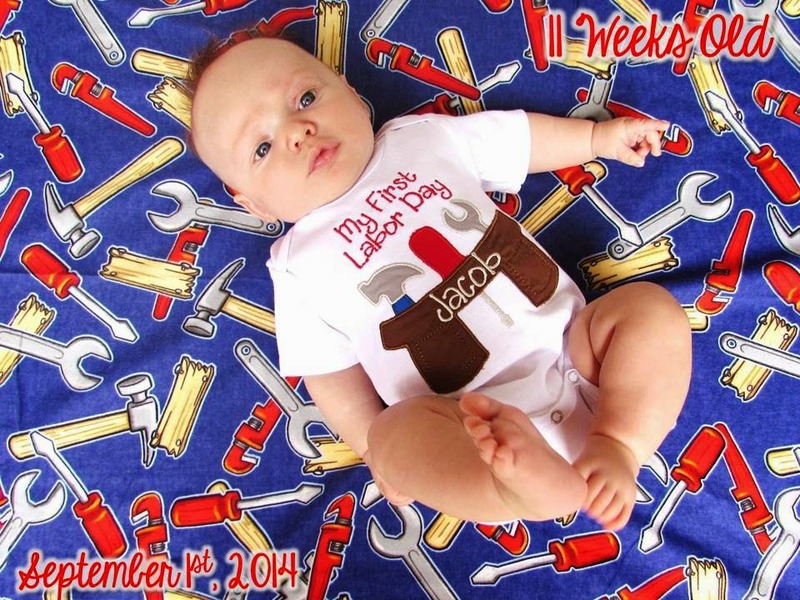 Monday was your first Labor Day! Daddy worked during the day and we relaxed at home. 11 weeks old and cute as a button!